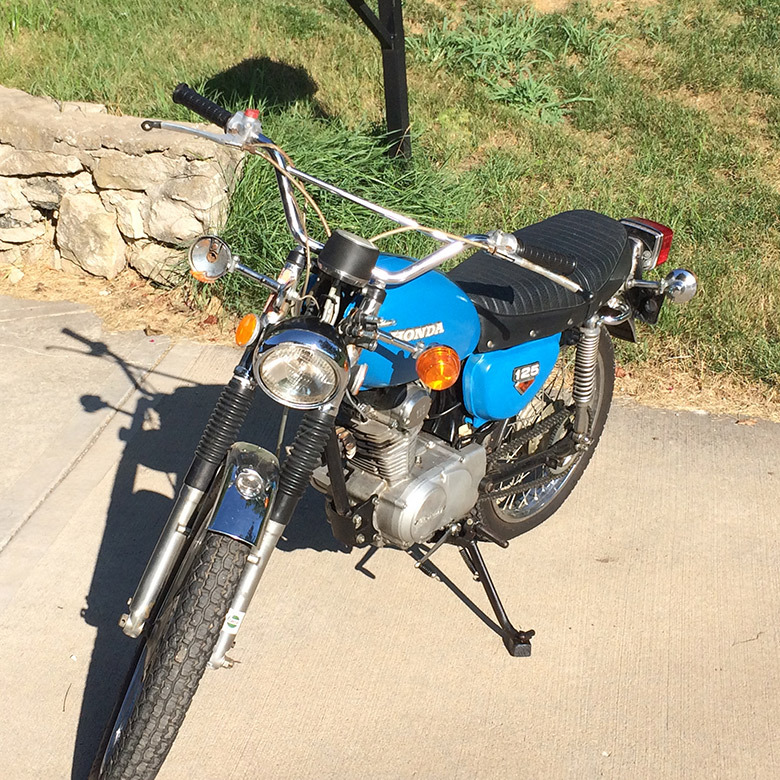 '74 CL125S – The UNINTENTIONAL 2nd Project! 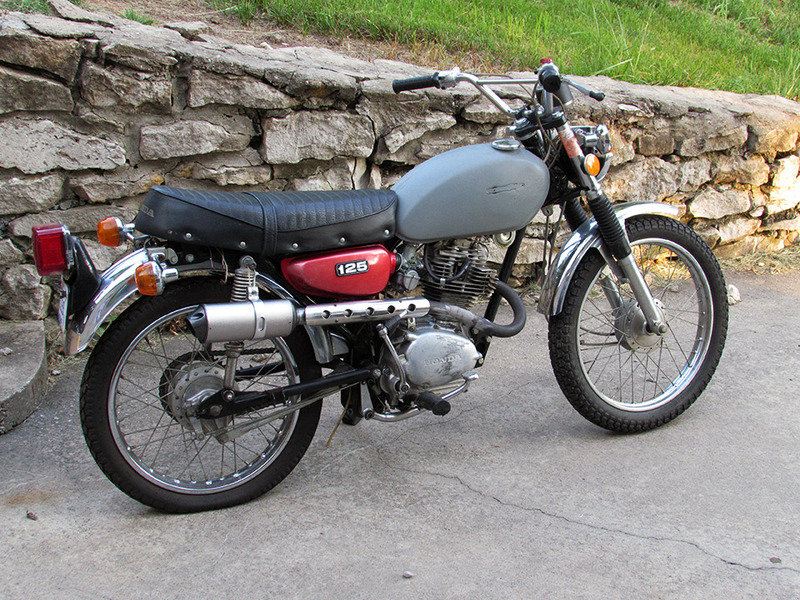 Thread: '74 CL125S – The UNINTENTIONAL 2nd Project! Currently smoothing the whole thing over with multiple coats of gray primer. I plan on using some rattle-can Ford Engine Blue for the color coats, adding white vinyl racing stripes to each side, then clear-coating. Lots more time needed, which is frustrating because I want get this on the road and then get busy again on Bultakenstein. I also will need to repaint the side covers and either refinish or replace the emblems, but that won't stop me from riding, so those might wait for winter. Last edited by Tanshanomi; 07-10-2015 at 10:32 AM. Whitworth - The whole Western World economy runs on total lies and BS: I'm a part of the action. While I was taking photos of Bultakenstein in the driveway, I snapped a shot of the CL as well. I've managed to make the tank into a properly sealed, functional 20-footer; I am planning to just shoot one or two coats of gloss paint over the primer and move on to the exhaust bracket, shift shaft oil seal, broken wires, busted turn signals, tires, etc. I am trying to follow the mantra of getting it on the road first, and only then worrying about appearance. Last edited by Tanshanomi; 07-22-2015 at 09:55 AM. 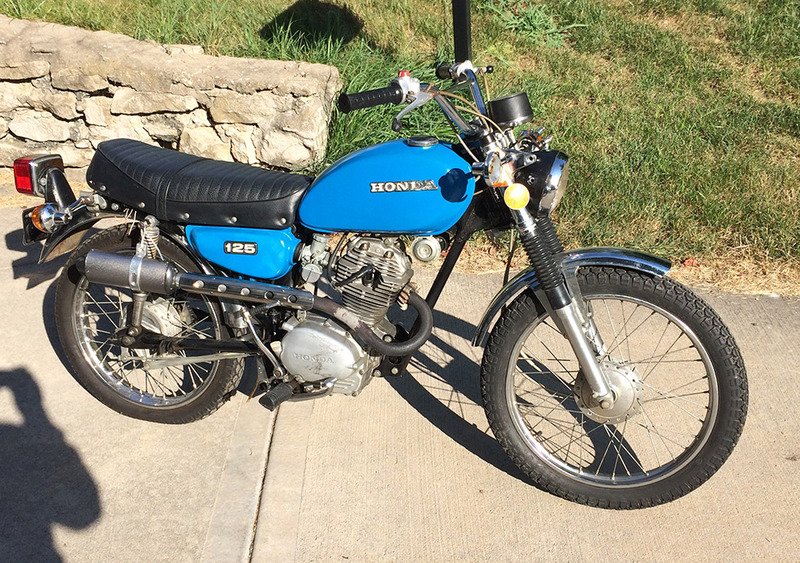 nice project, I had a 74 CT125 and loved that bike. Still coming along. Tank has been stripped, soldered, banged into shape, given a skim of bondo. 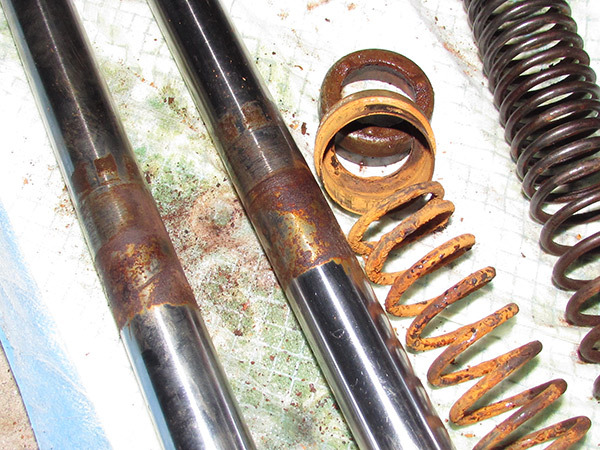 The inside was treated with phosphoric acid and then sealed with Caswell epoxy liner. The paint is just a spraybomb job to save the metal while I finish getting it into shape; a proper finish and stripes will come after its roadworthy. The dead speedometer has been replaced with a used one from an earlier CL100. Exhaust is pretty much finished; I still need to make the rear exhaust hanger and spray the headpipe with high-temp flat black manifold paint. 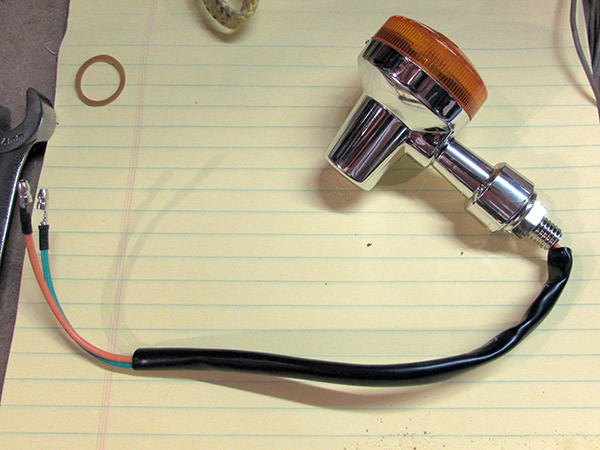 Replacements for the headlight ears and broken turn signals are on their way, and I have a replacement seal for the leaky shift shaft. I'm pretty much decided on Kenda K272 tires, but they'll have to wait a paycheck or two. There is still a lot to do, but as I said, it's coming along! Last edited by Tanshanomi; 08-05-2015 at 09:05 AM. Lpst and Mark Burton like this. And here are the cheapie plastic turn signals I bought to replace the bent and busted originals. Unfortunately, I discovered that they use T5 wedge-base bulbs. The brightest 6V bulbs they make to fit are 9 watt/12 candlepower, only 50-60% as bright as the originals. Oh well, at only $1.49 each, including shipping from Guangzhou, it's no big deal to throw them in a box for another project down the line. I have new motivation to finish this. The K.C. Moto Giro is less than three weeks away. 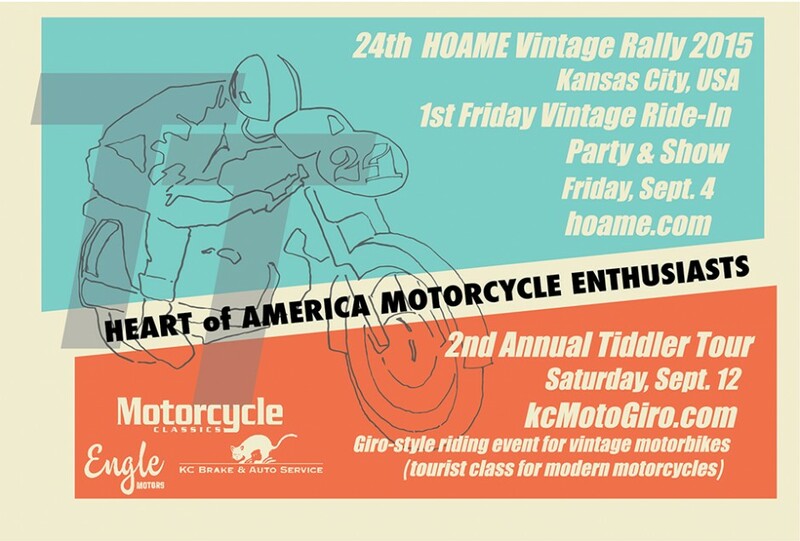 I am doing to do my damnedest to get the bike finished, inspected, and licensed before Sept. 12th. This thing is looking good! For the lights, why not get some cheap LED's and wire them in with resistors so they'll blink? I plan to do it to my cb, and if you go through superbrightled.com you can do it cheap. I'm thinking it was less than $20, including a 10w headlight. Well, they don't have any wedge-base 6V bulbs bright enough in LED either, so I still won't be able to use my replacement turn signals. I meant why not forego the wedge base, and just solder in led bulbs? They'll never burn out, and they'll be plenty bright, if you can get the right ones.